Virtual Cookie Swap & Giveaway! The holidays are coming and it’s always such an exciting time of the year for me. Besides teaching culinary classes for adults and children and going to holiday gatherings I also bake A LOT, and share my baked goods for gifts or with whomever I can. Years ago, I heard of something called a “cookie exchange or swap”. Of course I had no idea what this was, nor had I ever been to one, let alone given one. A cookie exchange is where you invite a group of friends, relatives, and neighbors over to your house to exchange homemade cookies or even bar cookies, etc. Every person brings anywhere from one to six dozen of one type of cookie. The cookies are laid out on the dining room table and exchanged. The result is that everyone goes home with an assortment of one – six dozen different types of cookies (based on the number brought). The recipes are also swapped, so that if you take home a new cookie that you really like, you will be able to make it yourself. The cookie party can be given at any time during the year; however, most cookie exchange parties occur in December. I’ve been researching information about hosting a cookie exchange and found that the Cookie Exchange Queen is a woman by the name of Robin Olsen who has written a book, has a website and newsletter with everything you’d ever want to know on the topic. Since I signed up for it last year she reminded me a couple of weeks ago to get in gear and get my invitations sent out. Realizing that I have far too much going on in the next couple of months to try and pull one together I decided to host a “Virtual Cookie Swap” on my blog. Here all my family, friends, bloggers friends, and anyone out in cyberspace can visit. Since there’s plenty of room for everyone, we can all share our favorite cookie or bar recipes. In addition, I have a fabulous giveaway to go along with my “Virtual Cookie Swap”. Thanks to Kuhn Rikon they’ve been nice enough to offer one lucky guest that attends my cookie swap and shares a recipe the chance to win a Kuhn Rikon Stainless Steel Cookie Press. If you don’t have one, well, you don’t want to be without this for the holidays. Watch these videos to see all that you can do with this wonderful tool! Deadline for all recipe submissions is November 14th, 2011 when a winner for the Kuhn Rikon Cookie Press with be selected at random. 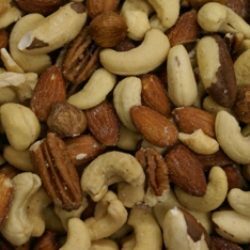 Post your recipe in the comments section and if you have a photo post that too. If you have a cookie recipe that you’ve already posted on your blog feel free to provide the link to that if you prefer. Tell us why you’ve selected the recipe you’re sharing. Share in the comments section why you’d like to win the Kuhn Rikon cookie press and “like” the Kuhn Rikon facebook page. 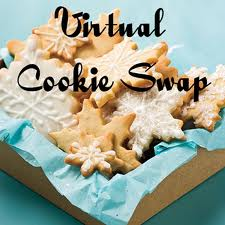 on your blog using this link (https://www.vickibensinger.com/2011/10/virtual-cookie-swap-giveaway.html), so others can join in on the virtual cookie swap fun as well. 4. The winner of the Kuhn Rikon Stainless Steel Cookie Press will be selected at random on November 14th, 2011. Be sure when you post your comments that you leave your contact information in the event you win. photo of the recipe if you have one. Oops! 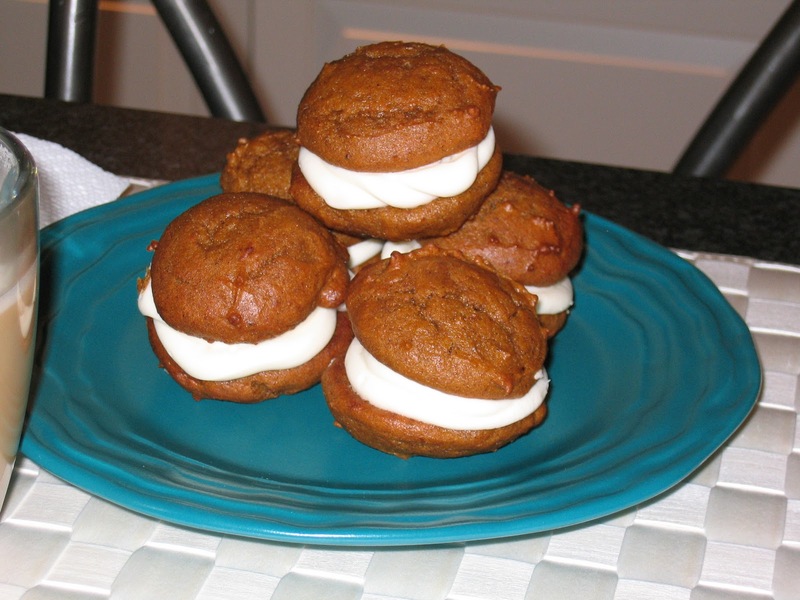 I almost forgot to post my favorite cookie for the holidays, “Mini Pumpkin Whoopie Pies”. 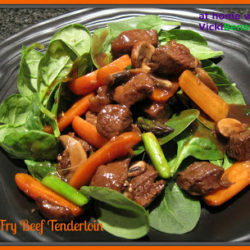 I posted this recipe back in December of 2009. Thank you all ahead of time for taking part in my first “Virtual Cookie Swap”. I’m so excited that I’m finally having one. Maybe next year I’ll actually be able to host it in my home. In the meantime, share your recipes, photos and stories. Hopefully we’ll all have lots of fun, and great cookies and bars to make for family and friends this holiday 2011. 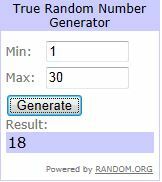 The Winner of the Virtual Cookie Swap Kuhn Rikon Cookie Press (selected at Random) is #18 – Jill, from DulceDough. Congratulations Jill. Please contact me at vkb2@hotmail.com. I hope everyone has a wonderful time baking all these fantastic holiday treats! I love cookies. This sounds like a really fun holiday event! Put oven rack in middle position and preheat oven to 350 degree F. Butter a 13- by 9-inch baking pan and line bottom with wax paper, leaving a 2-inch overhang on 2 ends (see cooks note ), then butter paper. remaining whites gently but thoroughly. coloring into another, leaving the third batch plain. Set white batter aside. with offset spatula (layer will be about 1/4 inch thick). red layer on top of white layer and discard wax paper. water, stirring until smooth. Remove from heat. Keep chocolate over water. another baking sheet on top, then invert cake onto sheet and remove paper. Quickly spread with remaining chocolate. Chill until firm, about 30 minutes. Here’s a helpful tip — forget this whole parchment overhang business and just purchase three disposable foil cake pans, 12 x 8 inches (it’s a standard size). layered between sheets of wax paper or parchment, in an airtight container at room temperature 2 weeks. I would love the Kuhn Rikon Press, I enjoy making cutout cookies, and this would make it much easier. What a fabulous idea. I think this could be adapted for other things like a pot-luck theme dinners and then sharing the wonderful recipes. We would have to survive this month first with our daily recipes before thinking of anything else. It is taking up a fair bit of our time but it’s all in good fun and for a good cause too. OMG, someone already posted a recipe up on here! This is such a brilliant idea, Vicki… a Virtual Cookie Swap while on my cookie-baking roll, just count me in! 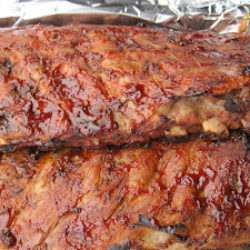 @Moe – thank you for posting your recipe. It looks delicious!!! @Angie, ChopinandMySaucepan, Foodiva – I look forward to seeing your cookie recipes posted. Thanks for all your comments. I’m looking forward to seeing what everyone has to share! Brilliant idea on swapping recipes, well done. What a fabulous idea! I’ve done everything except come up with the perfect recipe to share…so I’ll be back! 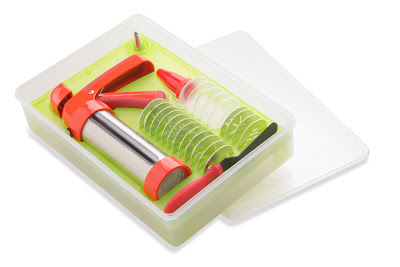 I would love the cookie press because – believe it or not – I’ve never had one and they make delicious cookies! (thanks for the giveaway, Vicki!) I’ve also liked Kuhn Rikon’s page! I’ve also liked your page! I didn’t realize you had one…Yay! Preheat oven to 350º. Line 9 x 13 pan with non-stick foil or regular foil sprayed with cooking spray. Melt butter and chocolate in a microwave safe bowl, using 30 second increments, stirring each time till smooth. Add sugar, eggs and vanilla and whisk till well incorporated. Stir in flour and salt. Spread half the batter over bottom of prepared pan. Bake for 20 minutes and allow to cool for 20 minutes. Melt caramels and cream in a microwave safe bowl, using 30 second increments, checking and stirring each time till smooth. While still warm, pour caramel over the top of the brownies and spread to cover. If caramel has cooled, gently reheat in the microwave. Top with remaining brownie batter by dropping tablespoons of batter across the caramel, then spread to edges. If batter has become stiff, gently reheat in microwave. Sprinkle top of brownies with chocolate chips and bake for an additional 20 minutes. Allow to cool completely, then use foil to remove brownies from pan. Cut and serve. 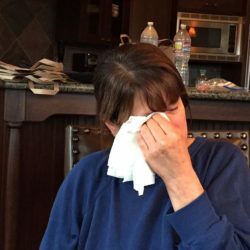 @Ann – Thank you for submitting your recipe. These cookies sound amazing! With peanut butter, coconut and caramel these have to be a winner! @Lizzy – Thank you as well for submitting your recipe, your brownies sounds nice and gooey. I have the Pastry Queen, it’s a great book. I haven’t tried this recipe yet but now I will! Wow, so many recipes already in your comment box! I am not into baking, but would love to eat up all these goodies. Interesting giveaway too! I am following your Facebook page now. It is my favorite because I LOVE chocolate, and these are almost like a brownie. I always seem to make them with different chips–mint, dark chocolate, peanut butter. Sometimes I split the batter and make them with two different kinds of chips at the same time. I “like” the Kuhn Rikon facebook page, and I want to win because I love spritz cookies! I “like” your Facebook page and will be posting the widget! Your cookies look so pretty! I need to join this American culture of baking cookies during holiday season… I don’t bake cookies (I really should though) so I will skip this giveaway so other readers who deserve more chance. 🙂 I’ll be working on my baking skills meanwhile! Cream together white sugar, light brown sugar and butter (do not use shortening). Add slightly beaten eggs and vanilla. Place on ungreased cookie sheet by small scoop or rounded teaspoon. Bake for 10 minutes or just until set. Remove from oven and let cool. Cookies will sink slightly. Any cookie this wonderful deserves to sit upon my Grandmother’s Fine China. This recipe is my husbands favorite, so I make it every Christmas. I love cookie presses… have fun everyone ! I have to work 6 days a week during the holiday in retail, wont be doing much this year, lots of reposts 🙁 happy baking everyone! I love all these great recipes. @Purabi – I hope you’ll attempt some of these recipes even though you’re not into baking. Maybe we will change your mind. @Jay – thanks for stopping by. I hope you’ll post a cookie recipe. If not, please try one of ours. I’ll definitely check out your site. @Dulce Dough – Wow these look wonderful. I always have been a sucker for chocolate. These sound heavenly. Thanks for all your posts and this wonderful recipe. @Nami – Since you aren’t a baker I hope you’ll at least try out one of our recipes or maybe one of your friends will bake it for you. Thank you for your post. @Dana – Well these sound fantastic. I love all the ingredients in them. Thank you for sending me an email with your recipe and photo to my gmail account so that I can put your recipe along with others into a pdf for all the view. Looking forward to trying all these wonderful cookies. @Pegasuslegend – wow you were busy last year baking a lot! I’m sure I speak for everyone here – thank you for showering us with so many incredibly delicious sounding cookie recipes. I’ll be sure to add those to a pdf for everyone to view. Hopefully it will make it easier and they can be printed off. Thank you again for your post and have fun working the sales floor for the upcoming holiday season. I enjoy doing that, and have for the past 4 years. What a great idea! I’ve always wanted to host one, too, but unfortunately, most of my friends don’t bake! @Heather – thank you for your post. Everyone always loves a great chocolate chip cookie recipe. Looking forward to trying them. Hi Vicki! Great idea. Its always fun to try new cookie recipes and my kids love being the samplers! I recently made some whoopee pies and they were yummy! They look like they are difficult to make, but they are really easy and fun! Here is my link if you want to check out the step by step photos! I would love a cook press. It would be a great tool to have when you have to bake a bunch of holiday cookies! Jacquelyn thank you for posting these wonderful whoopie pies with the link to your blog with the recipe and photos. Your cake stand is so pretty. I need to find something like that. I’m not interested in being entered in the drawing, but I do like your blog so I liked you on Facebook. @Kitchen Riffs – thanks so much for entering these wonderful chocolate cookies. I’m certain everyone that makes them will love them. Very important and delicious discussions here about foods and other eating items, and we love to read more posts from you.